For the past five years or more, I've been lamenting the fact that my own kids couldn't see the show and have the same experience. I've closely followed (and contributed to) the Reading Rainbow Kickstarter campaign and danced a little happy dance as I watched all the support role in until the show had raised over $5 million dollars to bring LeVar and the show back. and “Giving Thanks: A Native American Good Morning Message,” read by Nicholson Earl Billey. Did you see that? Gilda Radner!! I loved that woman. Anyway, my kids loved this video almost as much as I did. And we're clamoring for more. But the reading doesn't end there because Reading Rainbow has also released a new online service for kids called SKYBRARY. It is a virtual library for kids that is available for mobile devices AND computers with internet connection! When I registered, I was prompted to set up my account and add my children. After that, when we login, my children just have to select the hot air balloon with their name and off they go! This virtual library allows your children to pilot their own personal hot air balloons among SKYBRARY'S 7 uniquely-themed islands, each featuring a wide array of quality literature and video content. These engaging worlds of animals, music, adventure, science, heroes, friends and family feature more than 500 books from esteemed authors and acclaimed publishers. Your kids can choose the option of “read by myself” or “read to me,” and many of the books contain interactive elements that enhance enjoyment while preserving the reading experience. My kids just click on the island they want to visit and then they select a video or a book. They add the books to their virtual backpack before reading them, and when they are done, they put the books in the "book return" to free up space in their backpack and let them check out new books. 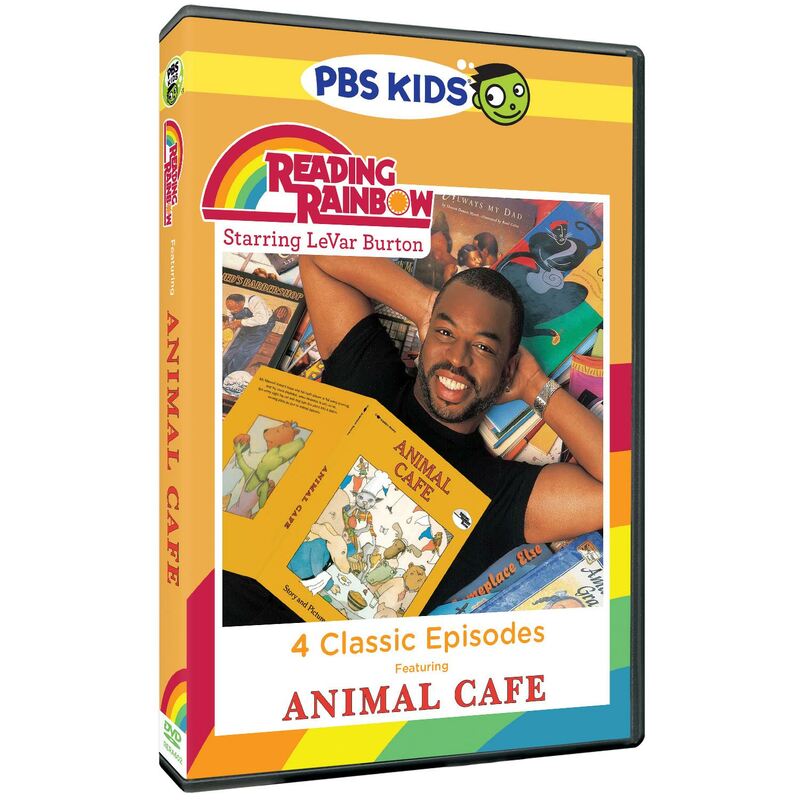 In addition to books, there are more than 150 newly produced and classic video field trips with host LeVar Burton that show children they can “Go Anywhere, Be Anything” as they are taken behind the scenes to places such as the White House, the Los Angeles Ballet, the Grand Canyon, and Cirque du Soleil. SKYBRARY is available at www.readingrainbow.com and offers a 14-day free trial with unlimited access to the complete digital library of books and videos. After the trial period ends, subscription plans are available. Disclaimer: I received a copy of this DVD & website trial for review purposes. All thoughts and opinions are my own!